UPDATED: Thu., Aug. 17, 2017, 8:34 p.m.
* includes time in House before she was appointed to the Senate. ** appointed to House to replace Short in January. $12,600 represents a full per diem for every day of the regular session. Some House per diems were reduced by $3.81 to cover the cost of pizzas ordered from Costco during a late-night session when the cafeteria was closed. OLYMPIA – Three special sessions took an extra $445,000 out of the Legislature’s budget. Some lawmakers claimed the daily stipend of $120 for every day of the back-to-back-to-back sessions, which lasted 88 days, and some took it only for days they were in Olympia. Some members who were integral to the negotiations over the operating budget and other issues keeping the Legislature from adjourning, including House Speaker Frank Chopp, D-Seattle, and Senate Majority Floor Leader Joe Fain, R-Auburn, didn’t file for any per diem. “If the Legislature doesn’t get its work done on time, I don’t want the public to feel there’s a financial incentive … for extra innings,” Fain said Thursday. The law allows – but does not require – legislators to take a per diem, now set at $120, for each day of a session, whether they are there or not. But some lawmakers request a lower amount or don’t file for reimbursement when they aren’t there. Those costs were cited by Sen. Mike Baumgartner, R-Spokane, who filed the per diem for every day of the regular session and the three special sessions, even though he wasn’t in the capital full time during the special sessions. House Appropriations Committee Chairman Timm Ormsby, D-Spokane, also took per diem for all 193 days. Because he was involved in budget negotiations, he said, he was in Olympia for the duration, except for a quick trip to Spokane and back. In June, his apartment lease ran out and he had to move to a new location for the final two months. Sen. Steve O’Ban, R-Pierce County, had administrators reduce his daily payment to $100 per day because he lives closer than many of his colleagues. “During the special session, I just take it for days I’m down there actually working, or on the floor,” he said. “That’s what I said I would do when I ran and I thought I’d better keep my word,” Braun said. He lives 30 minutes south of Olympia and comes home every night, except when budget negotiations go all night. Many of his constituents make the same commute for their jobs and don’t get reimbursed, he added. But he said he isn’t passing judgment on lawmakers who live farther away and take a per diem all or part of the time. “It’s a personal decision,” he said. 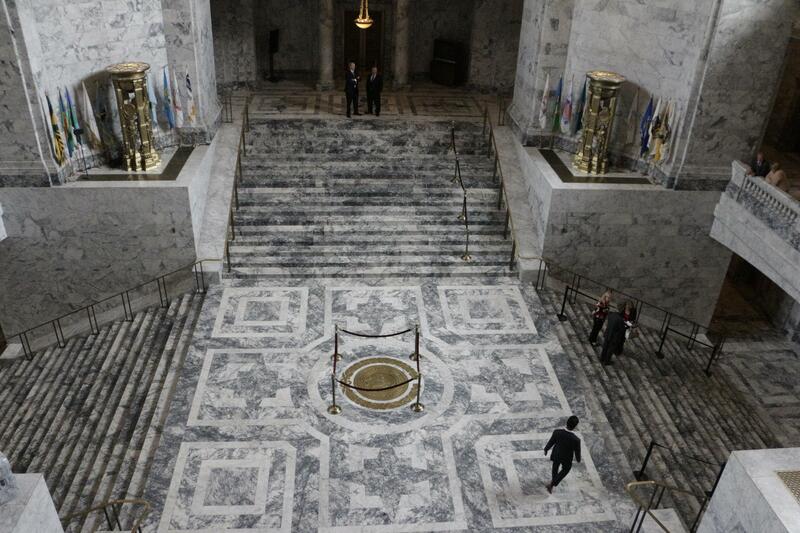 House Chief Clerk Bernard Dean said per diem and travel expenses typically constitute at least 85 percent of special session expenses and many members decline the stipend for days when they aren’t in Olympia. The Legislature doesn’t automatically get money added to its budget to pay for the special session costs, Dean added. It usually has to offset the expenses with efficiencies or reductions in other parts of its budget. Published: Aug. 17, 2017, 6:24 p.m. Updated: Aug. 17, 2017, 8:34 p.m.